Joyce is a young Malawian woman of great faith, and though she has been through a lot in her 25 years, she enjoys her life in the village where she tends to her crops, encourages others and sings in her church choir. Her favorite hymn is “The Lord is My Shepherd”. Joyce became pregnant for the seventh time at the beginning of this year. Her friends told her about Child Legacy Hospital and even though it was 45km away, when she felt something wasn’t right with her baby, she and her husband made the journey. Our doctors saw her immediately and performed an ultrasound, noting her baby was in breech position. 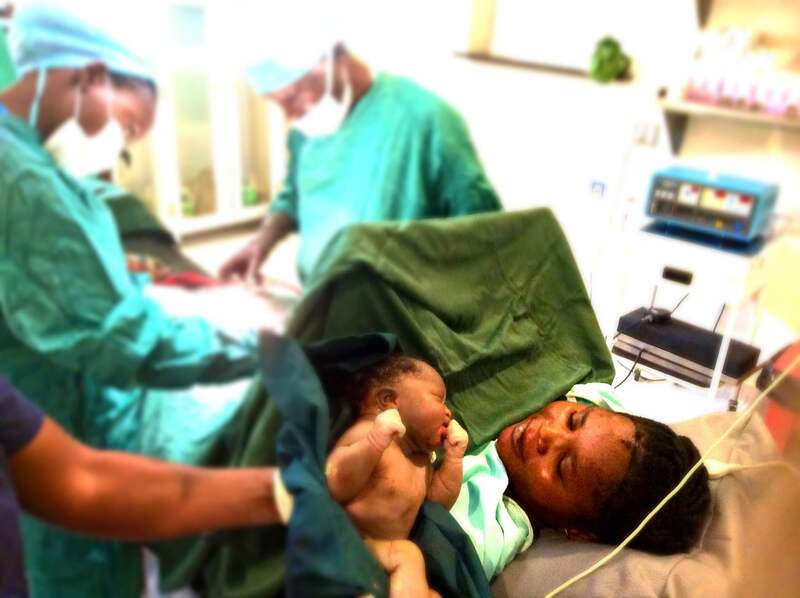 delivered by C-Section at CLI Hospital’s Surgical Ward. She burst into tears and sang out in joy as she looked into her daughter’s open eyes. 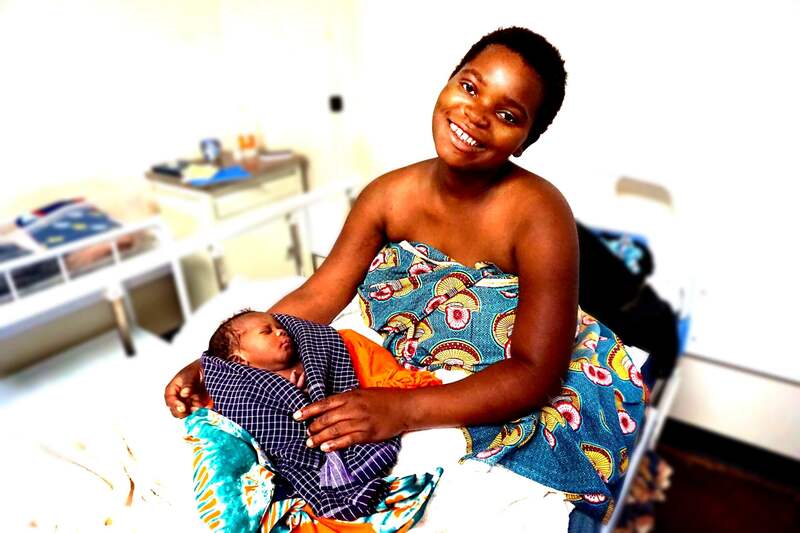 While recovering in CLI’s maternity ward, Joyce never stopped smiling, cuddling her newborn daughter to her chest. 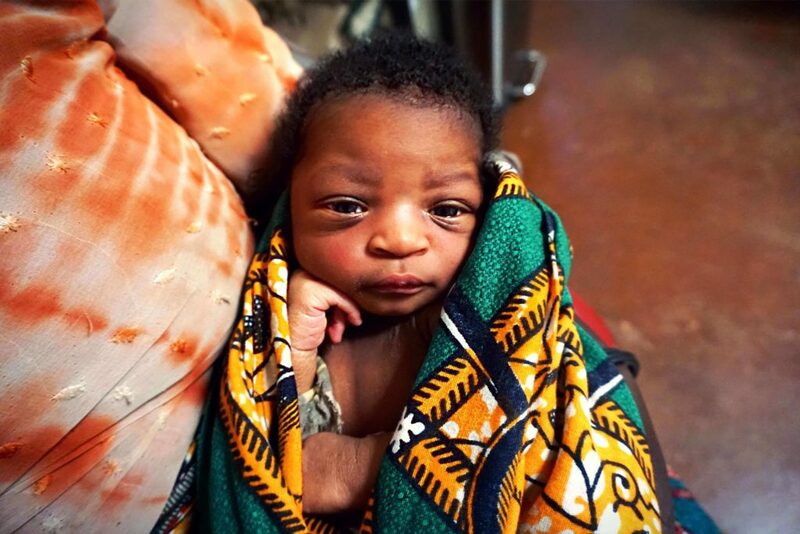 Joyce and Daniel named their daughter Tsogolo, the Chichewa word for future. As Child Legacy supporters and partners, you are saving lives and changing destinies. You are making a direct impact in the lives of families across rural Malawi. 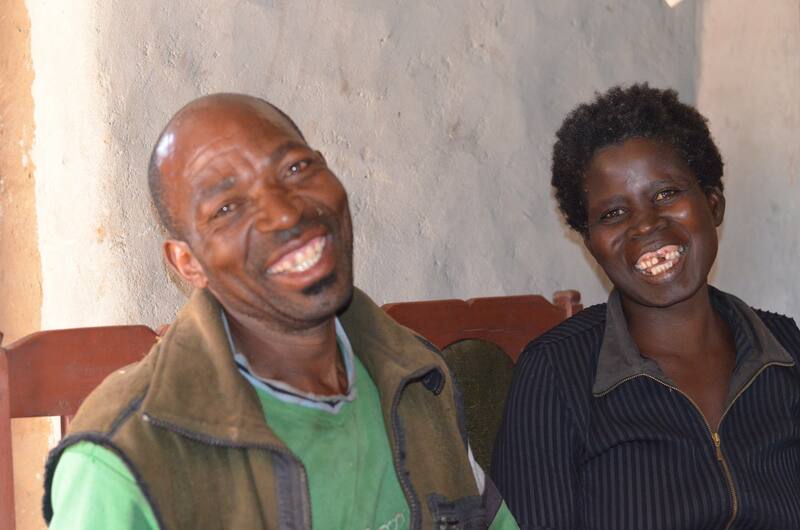 Thank you for positioning us to help make Joyce and Daniel’s dream come true. Because of you, they finally have their Tsogolo, their future. Make a donation on or before December 1st, and it will get matched 100% — up to $30,000! That’s really all you have to do to DOUBLE your impact in rural Africa! I think any time you try to do something that’s so far from normal or reaches beyond what seems to be possible, having the right people around you is where success lies. I’m always amazed at what can be done when people team up to accomplish something. Undeniably, having people with a like vision can turn the impossible into the possible. In 2012, Baylor College of Medicine and Texas Children’s Hospital collaborators stand with me in the foundation of our yet-to-be constructed Operating Rooms. There is something in us that drives us to do what’s not been done, to still try to go where no one else has gone. 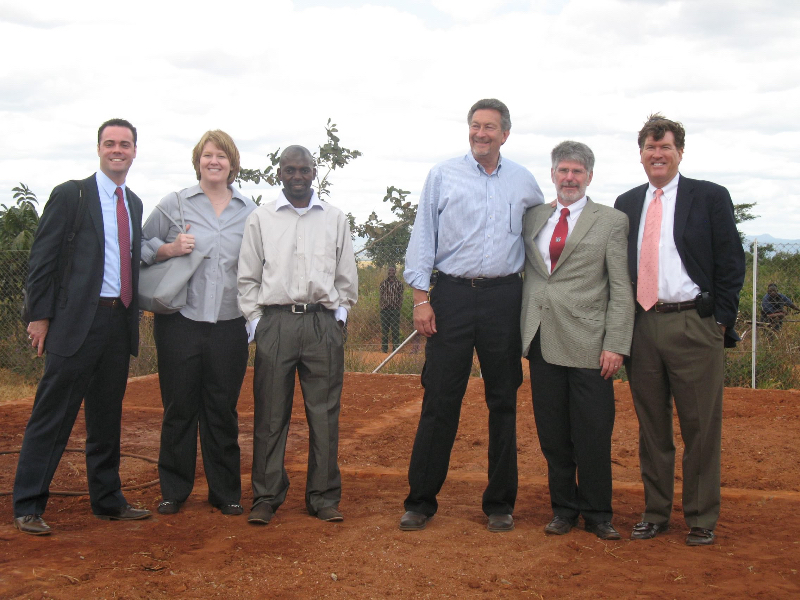 Three years ago we set out to build a facility that would house a pair of operating rooms, and after a lot of planning and hard work, on May 27th, 2015, it all paid off. 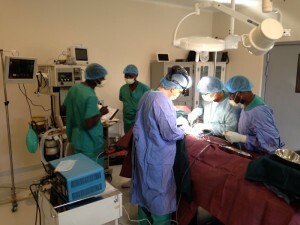 After endless changes and new timelines and strategies, we finally saw one of the highest standards of operating rooms in Malawi complete it’s very first procedure. Over a four hour time period, our surgical team, consisting of 5 CLI staff members and the outstanding Dr. Wilkinson and Dr. Sclafani from Baylor College of Medicine completed three procedures. It was nothing short of amazing! 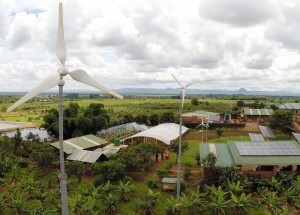 We ran two operating lamps, an air conditioner, an anesthesia machine, “the bovie”, and other surgical equipment, all of this powered by renewable energy – without a glitch. The Child Legacy Site in rural Malawi is powered 100% by wind and solar energy. What greater testament can there be for proving that this form of technology can be taken into any area of rural Malawi, ensuring quality healthcare is offered to the communities that make up the largest part of Malawi’s population. A 39 year old woman named Finess would be our very first surgical patient. Finess lived her life like many rural Malawian women. She dutifully cared for her husband and four children while suffering in silence from debilitating pain. She had reached the conclusion that nothing could be done to help her after years of seeking treatment from clinics and traditional healers without experiencing any relief. And then Child Legacy’s Operating Theatres finally opened its doors. We began at 8:57am. I’ve always known that Dr. Wilkinson, and Dr. Sclafani were great surgeons, but never in my life have I seen two men work together so perfectly as a team. The team performing surgery and monitoring patient vitals. All of our surgical staff operated together like a seamless, well-oiled machine. Davies, our clinical officer assisted both doctors and Johann, our anesthesiologist, was perfect. Everybody knew their part without a word being spoken. I was blown away to witness such skill and collaboration first hand. For me, it was more than an emotional time as I kept reflecting throughout the surgery of what it took to get here. All of the times I thought we would never reach this point, all of the questions that were constantly asked, “When will this facility finally be open?” And then as I looked into the eyes of this young woman, who needed a full hysterectomy, I knew that everything that we did, all of the blood, sweat, and tears had been well worth it. Finess and I with a nurse during her post-op recovery. A day without pain. A week. A month. Years. Her life was going to be changed forever, and this was only the beginning. The Child Legacy hospital will continue to change lives for generations to come because of faithful supporters like you. Together we have built a facility that is truly a model for high quality healthcare. The day before the surgery, I turned 60 years old and everyone kept telling me what a milestone that was. 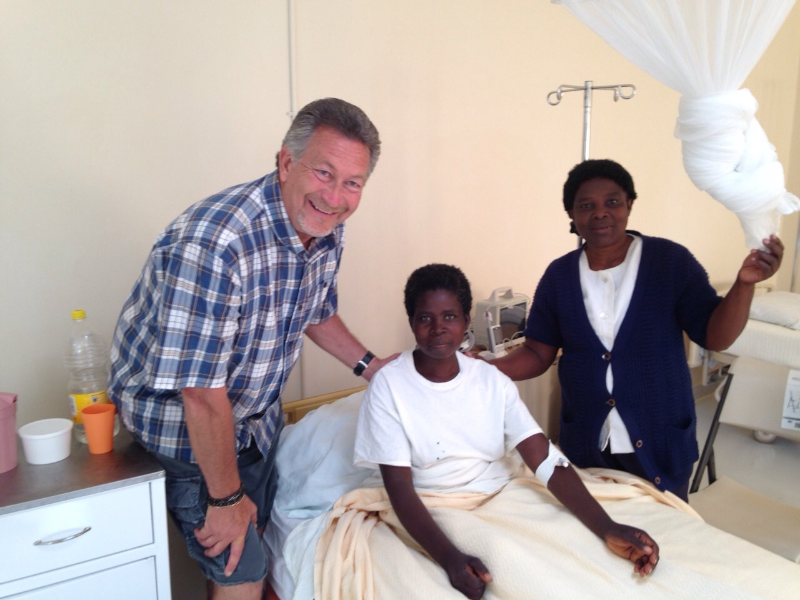 The real milestone for me, was watching this woman laying in our operating room in rural Malawi, receive a life-changing procedure from what I believe is one of the finest surgical teams in the world. Her operation was a complete success. Dr. Wilkinson made a “house call” to check up on Finess a week after the surgery – she said she feels like a new woman! So were the two other procedures carried out that day. I had hoped to figure out a compelling way to thank everyone for helping us get to this point, but words are simply not enough. So many of you helped us put this beautiful facility together, through planning, fundraising, building, and strategy. The best way I can do thank you is to show you the young woman who received our very first procedure. She has been treated. She is recovered. And she left our facility a new woman. God is good, all the time. Check Out This Video of the Momentous Occassion! A very special thanks to Finess, our first patient, for allowing us to share her story with the world.